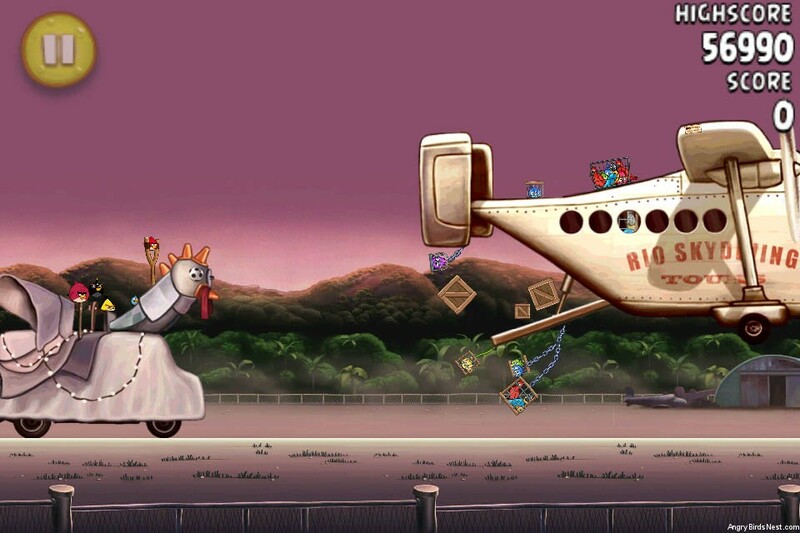 PC users woke up to a nice surprise, as the latest Angry Birds Rio update (v1.3.2) is now available and includes all 30 levels of Airfield Chase. This also means a new flock of users will be hunting for those hidden apples, so if you need help be sure to check out our walkthroughs. This update comes about a month after the last Rio iOS and Android update, so check out that post if you want to know the nitty-gritty about v1.3.2. Lastly, don’t forget to compete with the rest of us on the Angry Birds Rio leaderboard. The in-game updated only checks for updates periodically (though some users have reported problems), so if you’re not getting prompted for an update and are in a hurry you can download a new installer from download.angrybirds.com. Updating this way should maintain your progress just fine, but if you want to be safe backup you LUA files first. Those files are typically found in your /user/AppData/Rovio/ folder, but that path can vary slightly depending on your version of Windows. If you update in-game it will download a new installer and overwrite the old one, so if your keen on keeping the older version (just in case you want to revert) backup the installer. This is probably something most people don’t care too much about. A big thanks to angrygreg for being the first to tip us off about this update! Well now everyone is caught up, and first comment, yay! Good news then! I wonder what the final chapter will be? Fantastic! I play on my phone, as well as my netbook, so it’s nice to have all the updates on both. Thanks for keeping us up to date with news. I had a feeling this would be available here today when I clicked my favorites button to come here!! Thanks Rovio… and as always, Angry Birds Nest for keeping us up to date on the news. 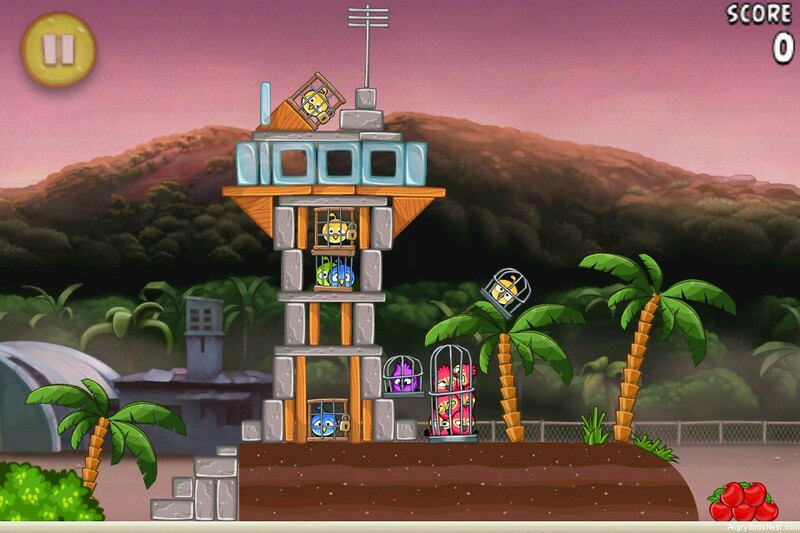 Rovio always said they wanted the pigs to make a cameo. I hope they do. I’m still putting my money on grapes. I’ve seen it in enough images to think it is true. I’m by no means guaranteeing it, but it’s my opinion. Plus mangoes have already been done. And on the lines of pigs. 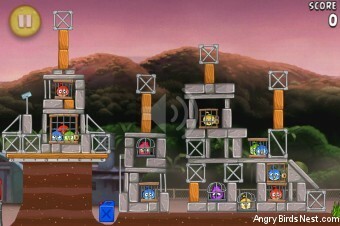 I bet that the pigs will team up with Nigel to beat the angry birds for revenge. And Blue and Jewel will come back and we will finally see what Jewel does! Seems like a good idea. Those are not the real pigs. I think they want a cameo by the real pigs. And I was wrong. Mangoes have not been done just yet. Yeah… those would be papayas that you’re talking about. No I was thinking about the watermelons in Beach Volly. Well I’ll be. It looks like you’re right. Cheers mate. I went back thru the images in the Rio data folder, and seen grapes and mangos… but the mangos were also in gold, so it looks like those will be the final fruit. Plus, I did see images of the Mighty Eagle, not only in Rio, but in Seasons and the Original. So, hopefully.. PC / Mac will get the ME update here soon! There are also images for touchscreen and Roku, so don’t read too much into them. This is neither unique to PC nor unique to Jungle Escape. Have you tried going through and “re-obtaining” all the bananas — even if crates and such are no longer labeled? I think someone at the Angry Birds Wiki knows something about the final fruit, so check that out. Could you give us a link to the website? Or is the AB Wiki? Just type in “Angry Birds Wiki” in whatever search engine you use, and it should be one of the first things you see, if not just say so and i’ll get you guys a link. Should be out in a few days. PC has the distinct advantage that Rovio can push updates at-will and don’t need Apple’s QA and approval. When will the final episode for iPad come out? So finally are ABo ,Rio and Seasons,in iPhone and PC, are synced together in terms of levels? Maybe you didn’t install fully. ME probably won’t be available for PC. 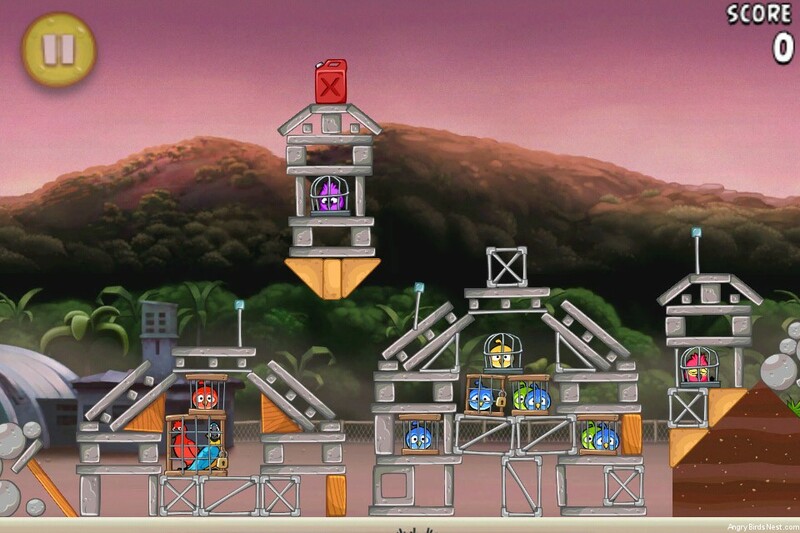 Mac and Android sound promising, because of the “Bad Piggy Bank” and the IAP feature. 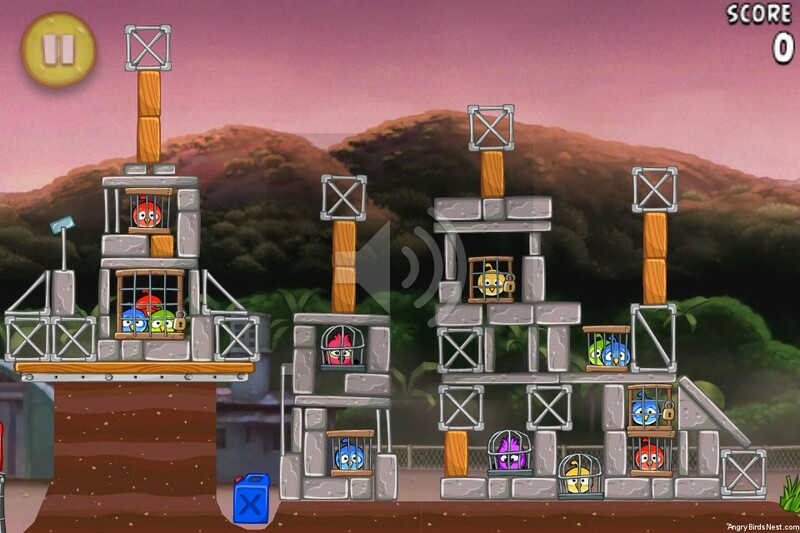 True, Rovio could put an add-on to the PC versions that will allow purchase of the ME for $0.99. I’m pretty sure it will be available for PC eventually. Likely as a $.99 key purchase. I turn up my volume all the way on my computer and ABR is very quiet. This was happening before the update and I hoped they would fix it but they didn’t. Is there anything I can do. Also, I have tried restarting it but it didn’t work. Never heard anything about this from other users. You are more than welcome to create your own phenomenon. In the meantime, no choice but to take (free) updates as Rovio releases them. banzaigtv, chill the freak out man, its just a game, no need to get upset. If you don’t like waiting for the new updates, don’t play the game. Rovio can not come with updates every week. They must take their time to do it right the first time. Plus, they will time to come up with unique levels. Or else we will be playing the same kind of levels in every update. Has anyone update to level 10 on the nook color yet? If so…. how? Have you tried right clicking on the “Download Free Demo” button and selecting, “Save target as…” (IE) or “Save link as” (Chrome and Firefox)? doesn’t work for me …i have tried everything ! Have you tried a different Internet browsers? I am hoping someone can help, I downloaded the new update, but when I go to open it, it takes away all my progress, like I have to start over, and I really don’t want to have to do that. Unless you had saved your highscores and settings files (see Tip 1 in the post), I’m not sure much can be done, sorry. Well thats what I get for not reading everything, oh well, my fault, thanks for answering me so quickly. i can’t get it to update…i tried the “download.angrybirds.com” site but just as i click on download free demo..the page isn’t displayed..this thing’s always written ” oops Google Chrome could not connect to drm-pc.angrybirdsgame.com ” i tried other browsers but nothing happens…any help ?? When will be the next update release? WOW so quick i thought 3 months later AGAIN!!! is there a new chapter for angry birds, after mine and dine? Not yet, but there will be. Is it confirmed? Some friends of mine told me Mine and Dine was the last chapter. It’d be really great if there were more. 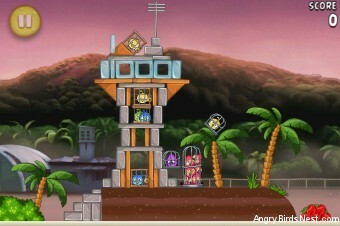 Rovio has said that Mine and Dine is not the end of AB. There should be. There will be a second chapter select screen to accomodate future chapters. ALRIGHT i getting confused in one of the levels can you play blu. but thats inmpossible he was taken from nigel. Correct, but in one of the cutscenes, the AB crew found Blu again. Which cutscene? I lokked all and nithing. Oh yeah, this is my second time here, and I’m not sure how you get the badges and all of that stuff. When I put my mouse over some people’s icons, I can see something like “Flinger with 70 points” but some people don’t have that. Do I have to sign up to get that? By the way, I’m buying AB Seasons on my Mac now and I’ll keep you updated about the golden egg. :) But I have to get to the end first, the GE is at the very end, according to Sam. Yes, you would need to register for this site. The Golden Eggs I know of are 3-2 and 3-starring all of Trick or Treat. That’s all I know of. I’ll post again tomorrow or later today, too addicted right now! I can’t stop until I’m done with all the levels, or at least until I get the egg! In which level? Can you provide a description? I checked on PC and I find no egg in 2-15 of Trick or Treat. Will need far more details if you claim it to be true. Are we talking level 2-15 of Trick or Treat? Since this is the Rio Airfield Chase comments section, I am getting confused here… as there are no eggs in Rio, only fruit. Yeah, the thread is misdirected, but not much we can do about that now. Ok, cuz I went back myself and did all that I could think of in 2-15, and I found no third egg. Actually, for my version in PC.. there are only two eggs for Trick or Treat. Only egg I am missing by counting them here at this site, is the Rio egg which we know some of us cannot get. isn’t there a extra angry birds egg for 4g devices (original angry bits) guess theres a etra egg for pc too whats a mac by the way? by the way, i’m on daylight savings time and shouldn’t the day counters reflect that. its 5:36 but it says 6:36. This is not the place for this conversation, but yes there is a 4G / Pomplamoose egg out there. However, it is only available on the Samsung 4G with the pre-installed copy of Angry Birds — which cannot be updated. So while it does exist, it is not a normal AB app. If this other egg exists on Mac and/or PC, I would love to see some more details. I can’t find it. The time on this site registers as California time, not local time. Seriously, finally someone posted! I left this blog on and set my PC to automatically refresh every minute so I could see updates on this egg! To everyone else who found this egg: Is it a good one? This is my first time on this blog and its a good one! Jack, PopOutAngryBirds, IklBob, triggersoft I’m not sure how many other pseudonymous you have, but if you want to continue participating in our community here be sure to post from the same user name. It’s also suspicious to respond to yourself using a different user name in order to lend credence to your argument. We are going to leave this thread intact for now, but please be warned. Any clue what update is next for the iso device? probably ab rio last episode. the last episode for Rio won’t be a space theme but rather a Airplane theme, which follows the movie rio. Also there most likely will be a Space Theme or an Underwater Theme for the next Episode in Original Angry Birds.